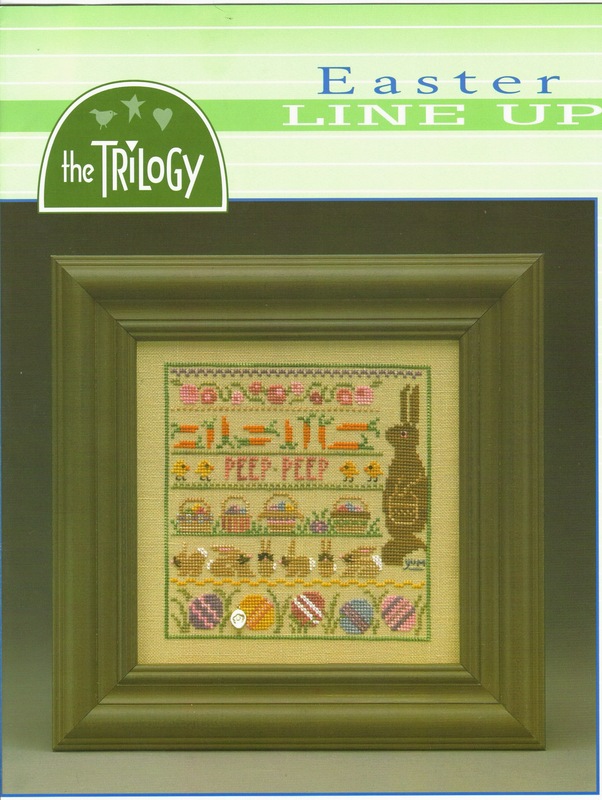 I have some progress on Triology Easter Lineup. 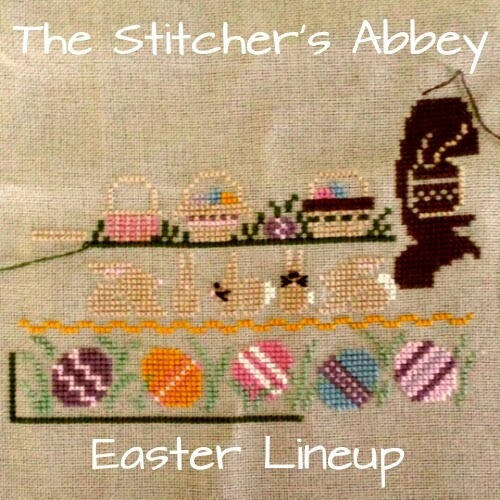 I stitched some on the bunny. This is a UFO that I want to finish. It's been two years. I am going to finish it this year. I finished stitching February Calender Girl by Little House Needleworks. 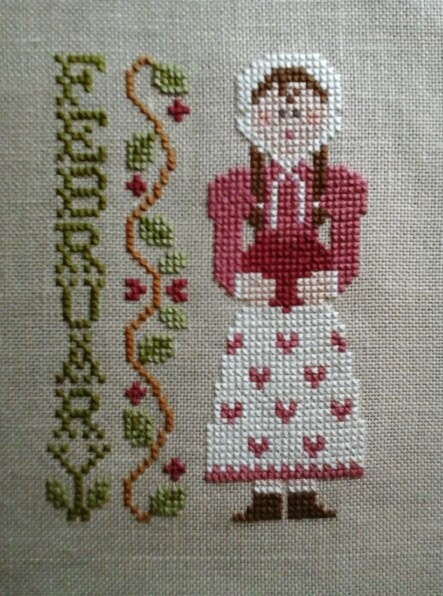 I need to find the perfect backing fabric and make the twisted cord before I can finish her. You did a very good job on February girl. Easter Lineup looks good and going be cute. Spring is looking great and so does your Feb. girl! Your February lady looks lovely. Easter bunny is adorable. Stitching Blogs We All Luv to Read!